From Champions in 2008 to bottom of the group in 2010 – a sharp fall can be seen for the Blue Tigers. 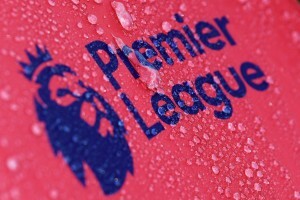 The worst in 2012 – bottom of the group, eight goals conceded and not a single goal scored. It couldnai??i? ?t get any humiliating for the Men in Blue as they slumped to a 0-4 thrashing against North Korea in the final group game of the 2012 AFC Challenge Cup. Adding insult to the humiliating loss were the injuries to striker Sunil Chhetri and East Bengal striker Reisangmi Vashum. A brace of goals in either half for North Korea saw them cruise to a thumping 4-0 win over India. TheHardTackle reviews the tournament for the Blue Tigers. To be fair, the Salgaocar keeper did have a good tournament. He couldnai??i? ?t do much about the goals as his defense let him down terribly time and again. Few decent saves throughout the tournament are the only memories which will come in handy for him in future. To be fair to him he couldnai??i? ?t do much. Played against the toughest opponents and still gave a good account of himself. No one will be surprised if Samir Naik quits the national team after returning home from Nepal. The Dempo defender was at fault for the goals in the Tajikistan game as well as against the Philippines. With Samir already 32 and his pace decreasing after every game, it looks like it is the end of the road for this veteran as far as the national team is concerned. He was one of Indiaai??i? 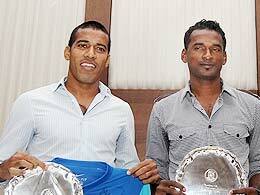 ?s best young players last season playing for the Indian Arrows. But this year at East Bengal he has not been able to start regularly. The lack of match practice seems to have reduced the confidence of this young lad and it showed against the superior opposition in the AFC Challenge Cup. He was at fault for the second goal against Tajikistan and was also guilty of making several other defensive mistakes. However he has age on his side and he will definitely improve with time. Was a fraction better than Raju Gaikwad owing to his big match experience with Churchill Brothers and the national side. However he too was not at his best. He failed to keep the ball and build up play from the back and was guilty of giving the ball away too easily and letting the opposition to attack without respite. He started the first two games and then lost his place in the final game to Vashum. He too lacked the ability to keep the ball and deliver crosses regularly. He didnai??i? ?t have the pace sometimes to get past defenders and get into dangerous positions while delivering crosses. He started the first game but then was replaced during the same game. He lost his place in the second match but came back for the third. The question remains that if he wasnai??i? ?t up to the mark in the first two fixtures why was he brought back for the third? This speaks poorly of Indiaai??i? ?s bench strength. He is another senior player whose India days are numbered. He was pretty good for Dempo all season but failed when it came to this tournament. He was Indiaai??i? ?s best player without a doubt. He would have been much more useful had Savio played him at left half or in a more advanced position. His attacking abilities were sacrificed because the team was defensively deficient. Nevertheless Indiaai??i? ?s utility player gave a tremendous account of himself. Of all the Indian players at the moment, Nabi was the only one that stood out and probably has a real chance of playing on foreign shores. He looked out of sorts with Adil Khan in the middle of the park. He was supposed to be the creative force in the Indian midfield but he lacked vision and his ball distribution was very poor. One wonders whether he will keep his place in the national side. He hardly started for Sporting Clube de Goa and it was definitely a surprise when he found himself starting the match. He was supposed to be the anchor man in midfield but he hardly retrieved back to help out in defense and was again poor in breaking down attacks. He was tipped to take over from Climax Lawrence and be Indiaai??i? ?s next long serving central midfielder. But to most of the Indian fans he gave the impression that he has still a long way to go before he can even come close to replacing Climax. His ball distribution was poor and he had the tendency to sometimes drift completely out of the game. Started one game and was satisfactory. He needs to play more regularly for his club side to get more confidence. Looked at sea against stronger opposition. Waged a lone battle up front with hardly any support. Was one of Indiaai??i? ?s better players of the tournament along with Syed Rahim Nabi. The fact that he had to adjust with several strike partners made life all the more tough for Indiaai??i? ?s captain. Started the final game and had brief appearances in the first two matches. Was satisfactory in the games but his crossing from the right needs to improve. He has the ability to replace Steven Dias on the right of Indiaai??i? ?s midfield but still has a long way to go. Many questioned whether he deserved to be in the team and he surely didnai??i? ?t silence his critics. After not even playing for a top flight club many questioned Savioai??i? ?s choice of Sushil Singh to be in the squad let alone starting the match. Needless to say, he was a total disappointment. Many felt he should have been Sunil Chhetriai??i? ?s strike partner but the man whose opinion mattered didnai??i? ?t think so. Savio preferred to bring Abranches as a late substitute and to be fair to the Dempo striker he did give a reasonably good account of himself. He was quite a handful for the Tajikistan defenders when he came on. India no doubt disgraced themselves at the tournament but they lost more fans by their style of play. When will India learn to stop playing the long ball game? They do not have the physical strikers to play that style of football and yet persist with that play. In all the three matches India must have not even totaled twenty per cent of ball possession. Also, the midfield couldnai??i? ?t even string decent passes together. From defense the ball used to be launched aimlessly hoping against hope that it would fall at the feet of an Indian striker and still then one would have to hope that he would be able to use his frame to shield the ball. It was apparent that Savio did not emphasize on holding the ball and his tactics left a lot to be desired. Playing the passing brand of football is the only way forward for us. With that style of play, the players physical fitness and stamina will increase and it will also give them the confidence of holding on to the ball for a longer duration of time thereby giving them the impression that they are controlling the game. It is apparent that India has not yet found replacements for Bhaichung Bhutia, Mahesh Gawli and Climax Lawrence. True they were great players and probably impossible to replace, but the worrying fact is that the younger generation are not even half as good as them. Three different central midfield combinations were tried by Savio and none looked convincing. Also the central defense was prone to errors and they lacked the calmness that a Mahesh Gawli would bring. Savio was right in dropping an under-performing Steven Dias but his replacements were not good enough and many felt that even an out form Steven would have been a better bet at the right of midfield. The strikers apart from Sunil Chhetri left a lot to be desired. The fact that Sushil Singh- an I-League 2 player was selected says so much about the lack of strikers in the country. Jeje missing was always going to be a body blow to the team and hey found it difficult from the start. Abranches too wasnai??i? ?t fit enough and didnai??i? ?t look threatening in his cameos. The whole of India felt that Syed Rahim Nabi should have been pushed up front but Savio thought otherwise. His long ball play too didnai??i? ?t find any takers. An error prone Raju Gaikwad was persisted with even though Kinshuk Debnath and Gurjinder Kumar who regularly play in the I-League were present on the bench. The biggest shock however was the benching of Lalrindika Ralte. Ralte has been one of the brightest young players and it would have made much better sense if a natural left footed player played on the left of midfield instead of a right footed Francis Fernandes. Savioai??i? ?s stubbornness to change has been another turn off for Indian football fans. The writing was on the wall after the two friendly defeats to Oman and Turkmenistan but still Savio persisted with the same team. Adil Khan in center midfield was a joke and he should have been dropped at least after the opening match. Playing Sushil Singh as a striker too was another disgrace. Sushil didnai??i? ?t even start the two friendlies but made it to the starting eleven in the opening game. The writing was on the wall for Sameer Naik in the very first game. Savio had the guts to drop Climax but couldnai??i? ?t repeat the bravado in the case of Samir. Savio needs to take the lion’s share of the blame. True Inida were missing Subrata Paul and Jeje Lalpekhlua but that should not be an excuse. Even Subrata Paul would not have made a difference when India’s defense was as wide as the Grand Canyon; Edwin Van Der Sar would have probably let in four goals. Jeje was missed for sure but then again without a steady supply of ammunition strikers are not expected to bang in goals. Agree with all your points. The only reason I have been hating Indian Football is because of their style of play(Long Balls). Possession football is the only way forward, without quality players in the centre of the park who can deliver good long balls it is just a waste of strategy. All in all a very disappointing tournament for the Indian Fans, who are already very less in no. Savio’s days are surely numbered, but the question remains is who would take his place ??? I find it staggering that nobody has ever mentioned the removal of Bobby Houghton on trumped up charges as a direct reason for Indias decline. Bobby qualified India for this tournament with a game to spare, he took a development squad and qualified with ease. He is the loss that nobody is willing to mention. The new regime has taken Indian football backwards at an alarming pace. 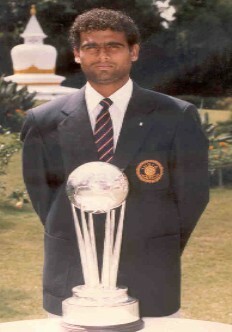 India won this tournament under Houghton and that was the only edition which was hosted in India. India clearly had the advantage of playing in monsoon conditions where other teams struggled. The conditions were so poor that the final had to be shifted from Hyderabad to Delhi. The physical Western Asians and quick footed south easterns suffered on muddy grounds. Also, not surprisingly that edition didn’t have North Korea in it. Otherwise India wouldn’t have won it. People tend to forget that Houghton lost the SAFF Cup with a full strength India away from home, Sukhwinder won it with a youth team the followin edition. Indian football did make improvement under him but when he was sacked it was a correct decision. If AIFF had persisted with Colaco India would have made improvements, Medeira was a step back. North Korea did feature in the AFC challenge which we won in 2008. They lost to Tajikistan in the semis. The team selection was deeply flawed. We need a selection committee with representatives from five zones to name the initial 30. Arnab Mondal might have been injured. On current form he is better than Gourmangi. Khelemba Singh should have been taken instead of the totally useless Anwar Ali. Gurwinder Singh of East Bengal should definitely start ahead of Raju Gaikwad. Sushil Singh playing up front is a putrid joke. Football is partly played with the brain and he is headless chicken. There definitely is some relationship between Sushil and Bob and Sushil and Savio beyond football that helped him make it to the team and even start regularly. Or someone in the federation is shielding him. Don’t be surprised to see him again in India colours. Manandeep should have been given an extended run. I wonder what happened to Branco Cardozo? In the right back position, Denzil Franco is the best option in India. Another player who can be tried at that position is East Bengal’s Sushanth Mathew. Nirmal Chettri has been badly exposed in front of quality opposition. He might still be useful at centreback.Another player whom the Indian coaches consistently avoid is salgoacar’s Ishfaque Ahmed. At left back, Gurjinder is too raw. Robert Lalthlamuana should have been played there. A player who could be useful at left back and is never a favourite with coaches is Prayag’s Chinta Chandrasekhar. At the center of the park the choice has to be definitely Mehtab Hussain and Lalkamal Bhowmick. Rocus Lamare simply drifts out of the game against quality opposition and is a misfit. Jewel Raja needs to grow up under lalkamal and Mehtab. The right wing should have Sanju Pradhan. Vashum isn’t a great crosser but is a good trier. Francis lacks pace against quality opposition. If these two haven’t matured, the right wing second choice is James Singh. james is ageing but is certainly fit. Binish Balan is a player who can be included to play on either the right wing or as a forward. The Indian cricket team does well because we manage to select the best possible taedm. But that has never been the case with Indian football. @Above, it depends on the coaching, playing style aswell. If the above mentioned players were choosen and if coach Savio had the same tactics the game will be same…long uselless, miss passes etc. His vision is very very poor. Armando did quite well even with max old goans blend with new young players…only because he had that technique to teach and coach the style of short passes etc well.